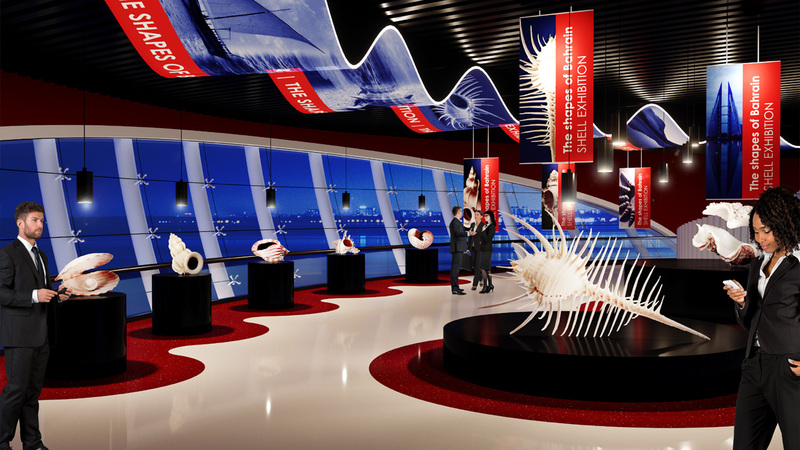 The large scrolls of a “Murex” shell emerging from the sand of the long coast of Bahrain, have inspired the Italian architect Giancarlo Zema for the design of the iconic pedestrian bridge connecting the water restaurant with the artificial island that houses the Four Seasons Hotel. 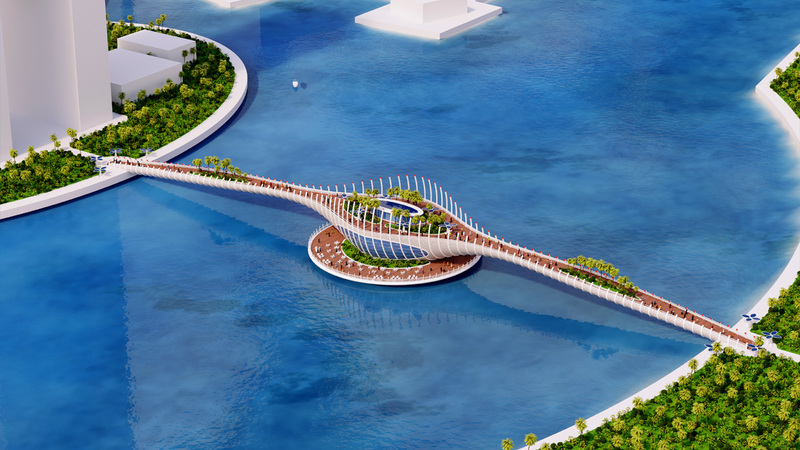 A highly sculptural and poetic sign to donate to the city of Manama something more than just a pedestrian link. 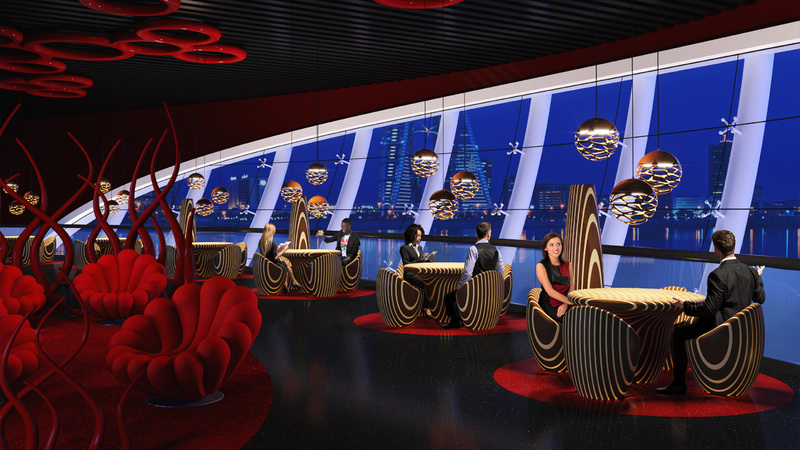 An ideal place to meet and socialize all day round to enjoy the magnificent and unusual sight in the heart of Bahrain Bay. 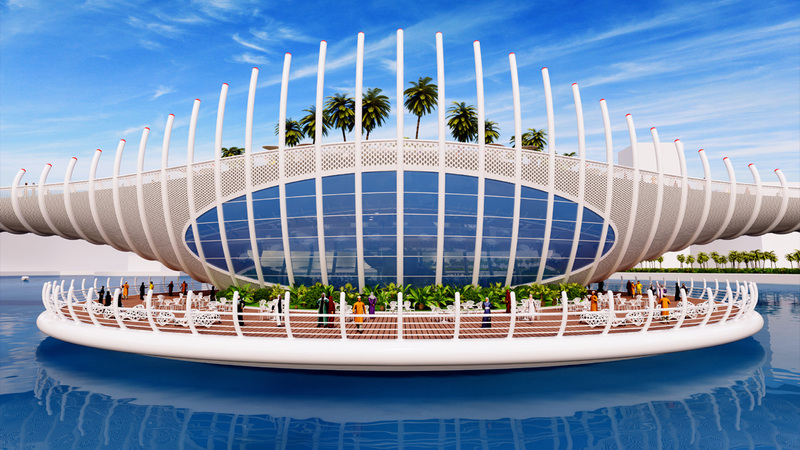 The sinuous architectural shell made of tubular steel with bright terminals, stretches out on both sides for 250 meters above the water, to a maximum height of 10 meters. 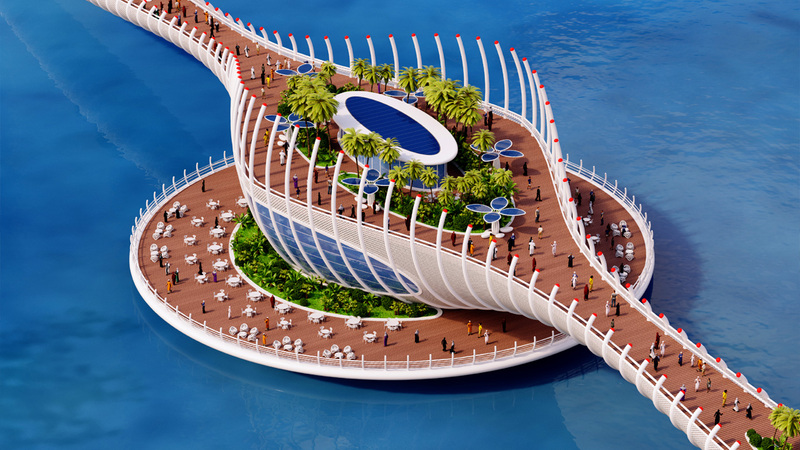 The pedestrian pier made of teak has a variable width from 6 to 40 meters and in the middle hosts a charming terrace, equipped with rooftop garden with solar lighting, and a seating area in back-lit stone. 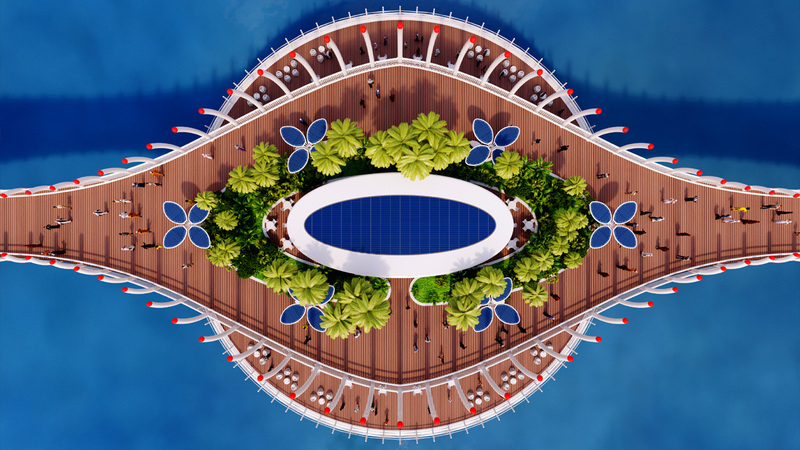 In support of the bridge, it emerges an intriguing and elegant rooftop restaurant of 1,200 sqm on two levels, located in the middle of the sea, with a large floating platform of 1,500 sqm, to enjoy suggestive dinners and cocktails outdoor. 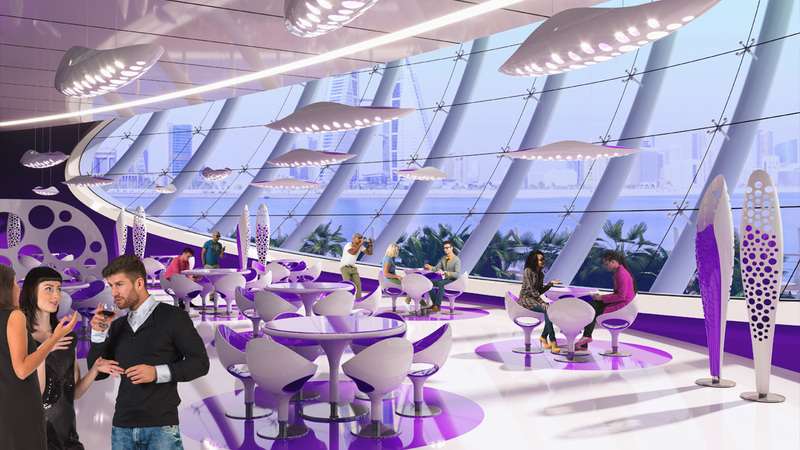 Usually we hear the shells to hear the sound of the sea, in this case in MUREX – Bahrain Bridge Restaurant will echo the voices and thoughts of the people who work hard every day to give the city a better future development and happiness, the sound of Bahrain Bay. 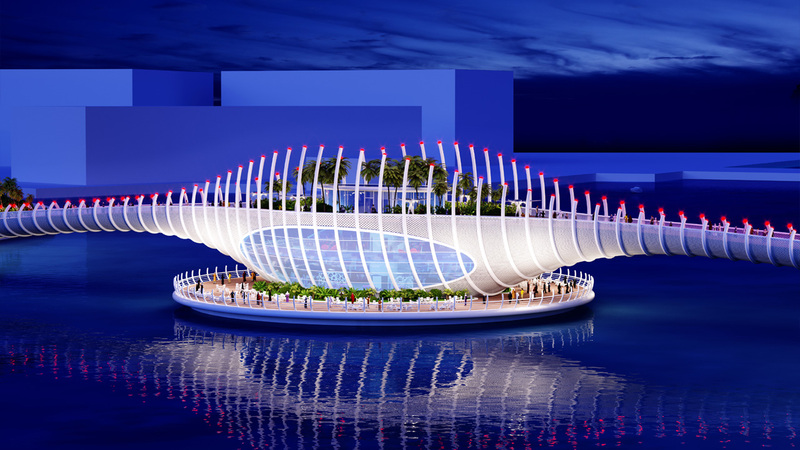 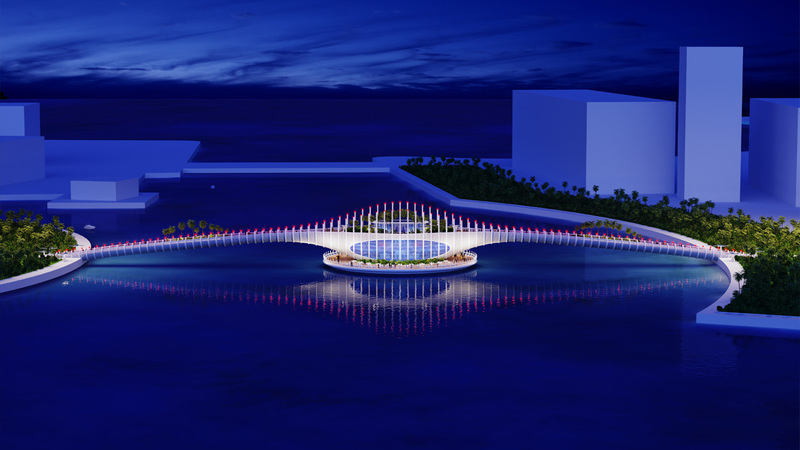 With MUREX project – Bahrain Bridge Restaurant, the city of Manama is enriched with a new icon, for local residents and visitors, that includes a “starred” restaurant, a unique and full of magic place for leisure and business.